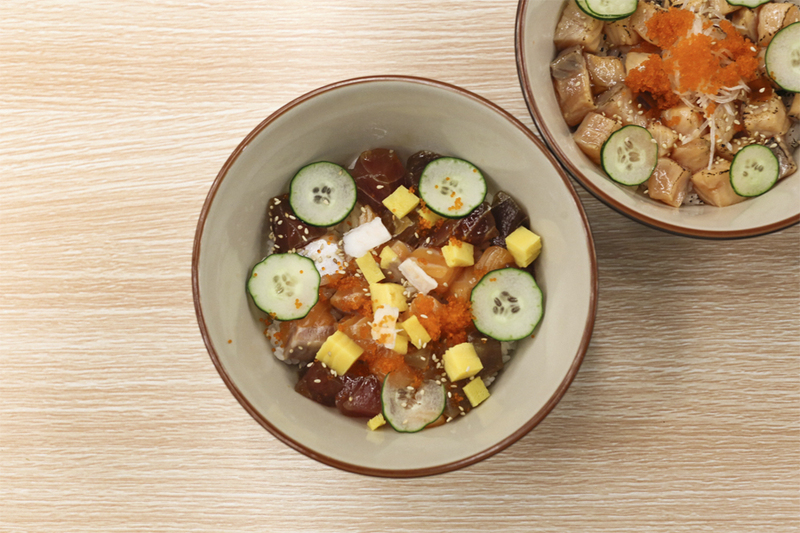 So which eateries sell the cheapest Bara Chirashi Don in Singapore? 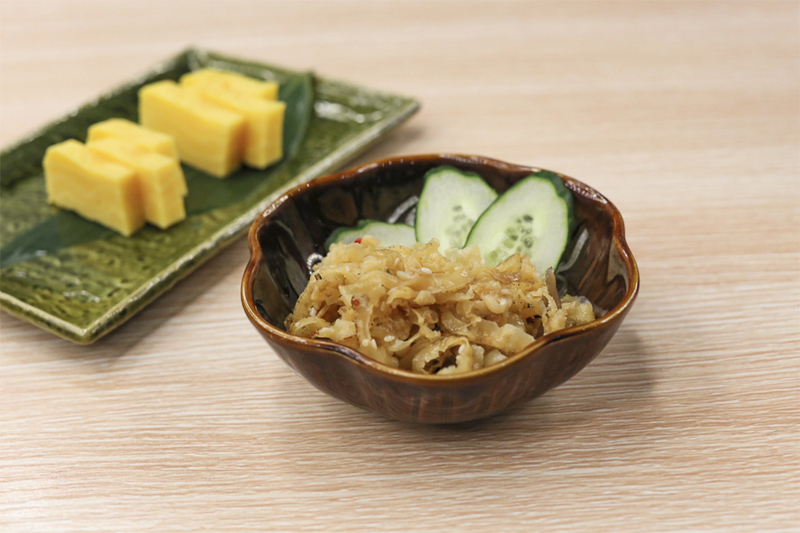 Not the the kiosk ones, but those that sells donburi in a sit-down restaurant. 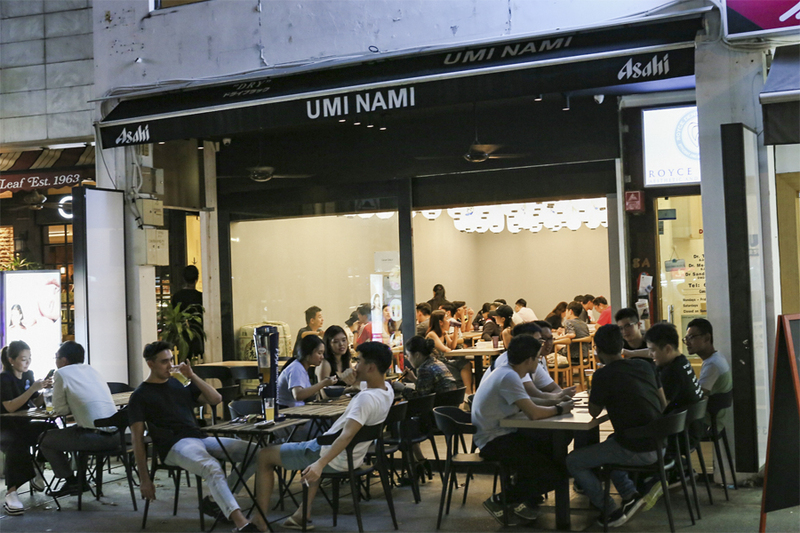 It should be District Sushi’s which was previously $10 (but now $13), En Sushi’s version at $10.80, and Umi Nami which sells theirs for $10 – with no GST or service charge. 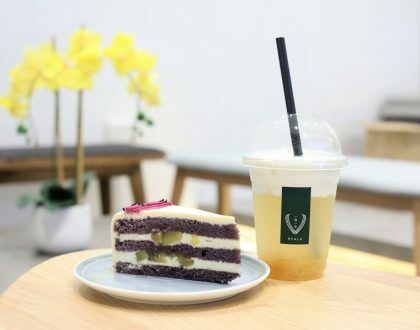 Umi Nami is located along Lorong Mambong at Holland Village, and kept its interior with the basics – wooden tables, grey floors and paper lanterns hanging from the ceiling. 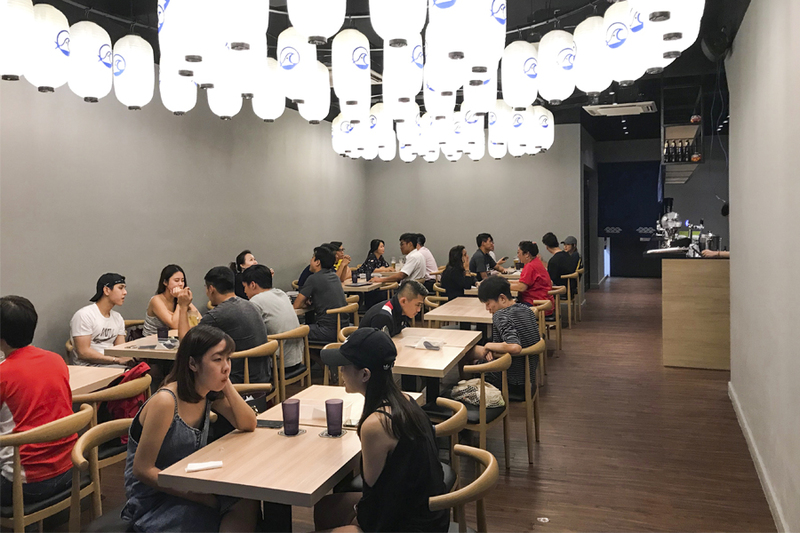 I suppose reducing unnecessary cost on its interior décor, gave it some room to offer bowls at more affordable pricing. 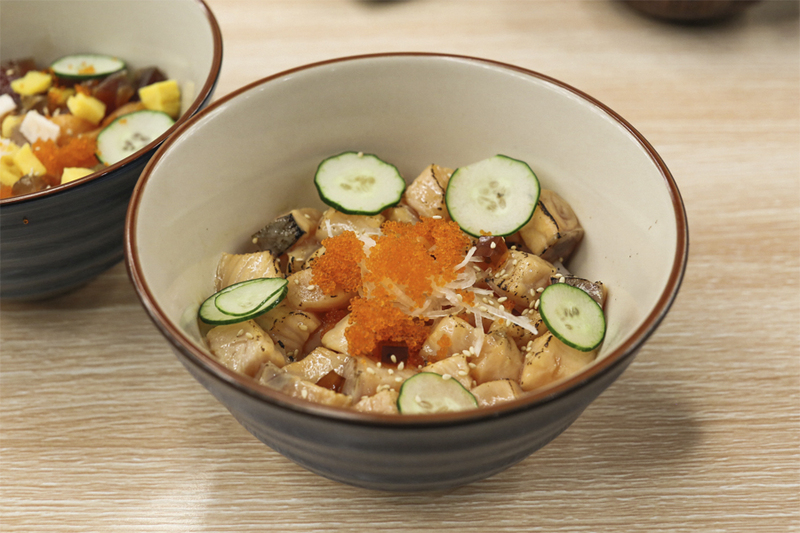 The Bara Chirashi Don is priced at $10, while other bowls included Salmon Don ($12), Aburi Salmon Don ($13), Maguro Zuke Don ($12), and Aburi Scallop Mekajiki Don ($24) – consisting of lightly seared scallops with cubes of swordfish belly. 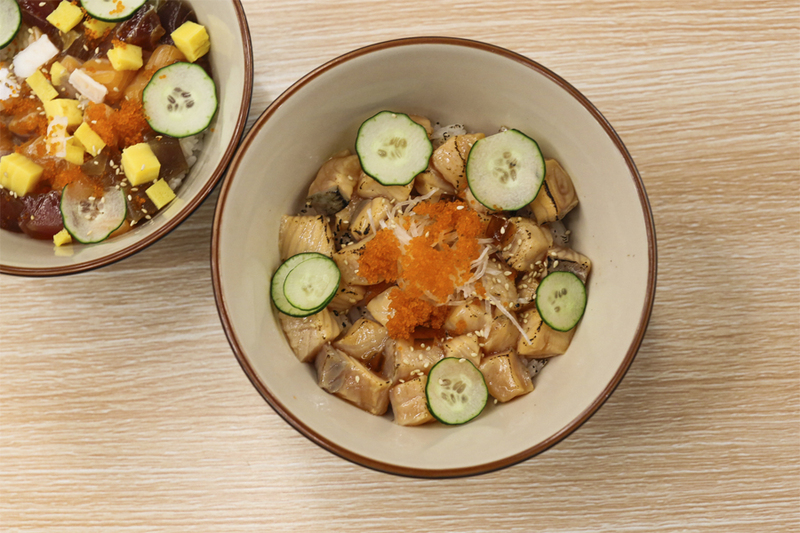 The signature bowl came with cubes of salmon, tuna, sweet tamago egg and ebiko, marinated with light soy-saltiness. 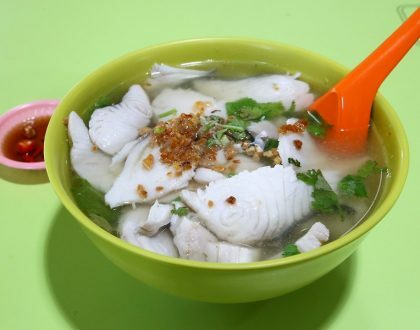 To be honest, I wasn’t expecting much and so thought that it was a decent bowl for its price, with warm fluffy rice and good-enough portion. 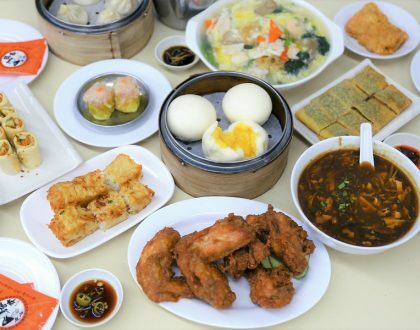 The fish cubes were the freshest or tastiest around, but could be another choice if you are in the vicinity and in need a casual meal. It might not have warranted an out-of-the-way trip. 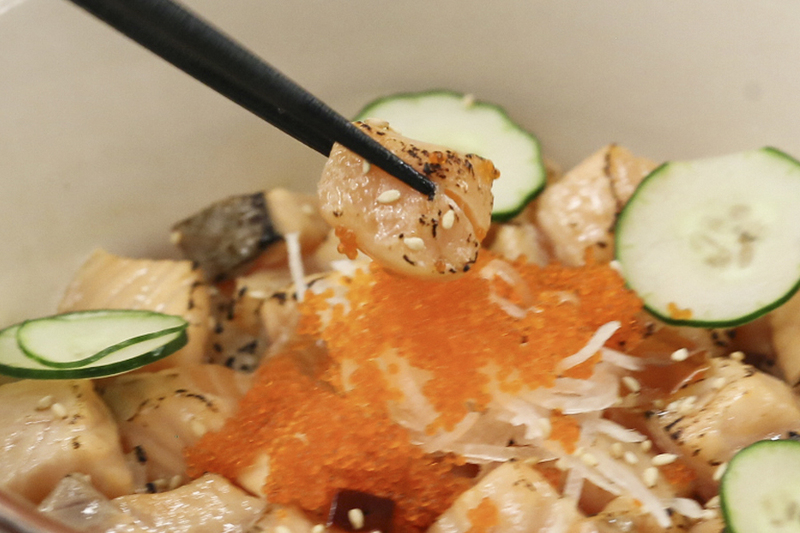 Comparatively, I found the Aburi Salmon Don ($13) a tastier and heartier bowl overall. 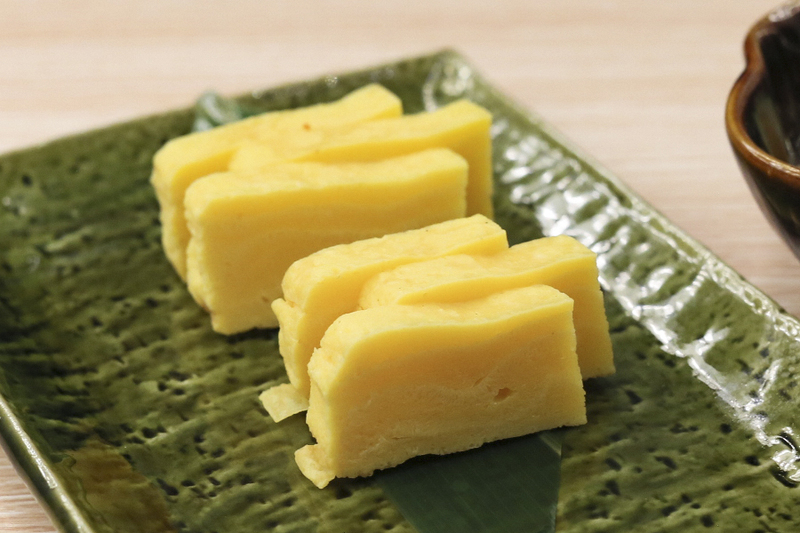 I also ordered other side dishes such as Marinated Scallop Bits ($4) and Tamagoyaki ($3), which would more to go with drinks, but not impressive enough to make me want to order them again.